Water Jel Technologies - BURN SPRAY BOTTLE 2 OZ. 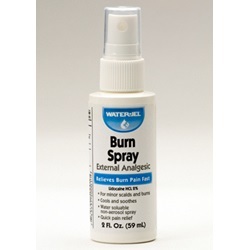 BURN SPRAY BOTTLE 2 OZ. External analgesic, water-soluble, non-aerosol 2 oz. 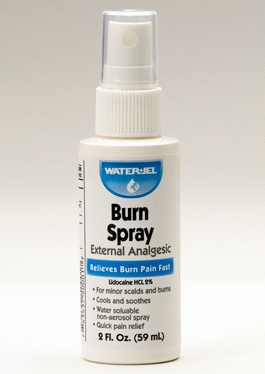 burn spray cools and soothes minor scalds and burn pain. Contains Lidocaine HCL 2% to relieve pain fast. Rinses off easily.